The Tech Edvocate Awards honour the best that edtech has to offer to the education sector by recognising outstanding companies, people and products. 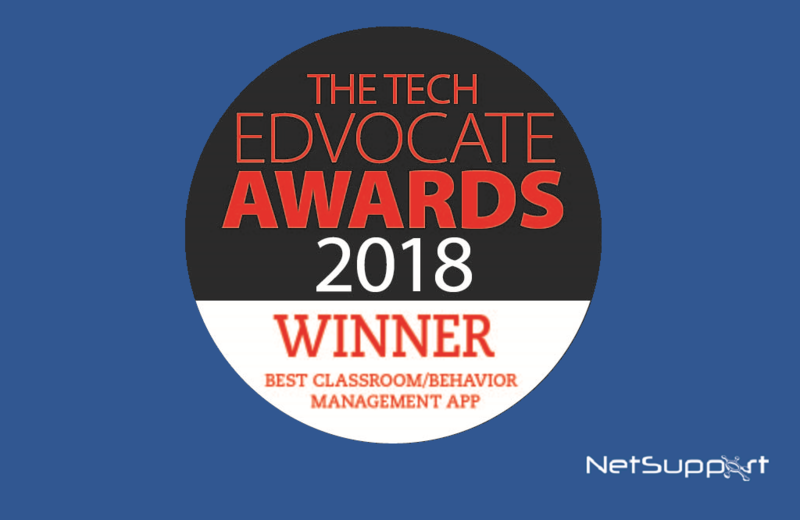 We are delighted that our Classroom Management solution, NetSupport School, has won the “Best Classroom/Behavior Management App or Tool” award for the second year in a row! To be named winner of an award, the solution must be shown to be transforming education through the development and/or advocacy of edtech. The winners were selected by a panel comprised of two edtech thought leaders, two PreK-12 teachers, one college professor, two K-12 administrators, one college administrator and two PreK-12 parents. To learn more about our award-winning solutions, click here.